Giorgia and Davide our original and sport couple! 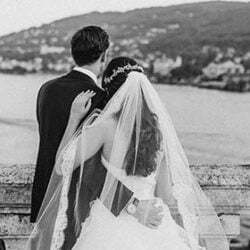 iorgia and Davide are a wonderful couple who decided to tie the knot on 21 September 2013. 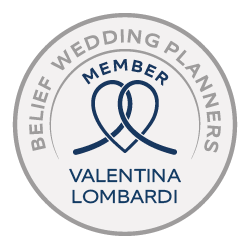 Their reception was planned at Ristorante Belvedere on Isola Pescatori on Lake Maggiore. 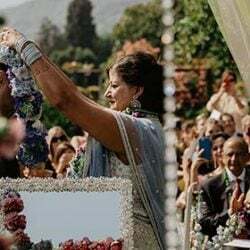 Well, their wedding could seem similar to others we told you about, but they did something really different!! 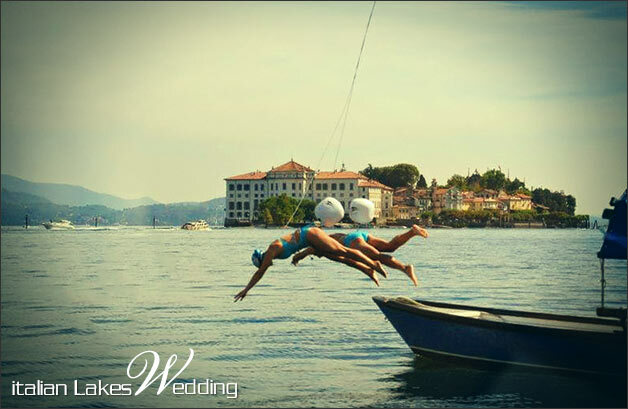 These amazing guys decided for a very original way to reach the Island for their reception….on a motorboat? on a vintage speedboat? NO! They swam to the reception! We are not joking! Giorgia and Davide are two good swimmers and they decided to surprise their guests with a very different entrance! They got on a boat on mainland and, once they reached the middle of the lake, they dived into Lake Maggiore waters tied to a big red ballon. Their friends, relatives and also some tourists were all waiting for them at the beach of the Island. Ristorante Belvedere staff welcome them with a towelling robe and a glass of Prosecco for the toast! 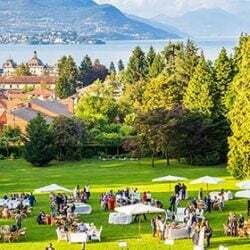 While guests reached Ristorante Belvedere restaurant for the aperitif on the terrace overlooking the lake, bride and groom had a shower and got back in their wedding dress and suit. And the party started! 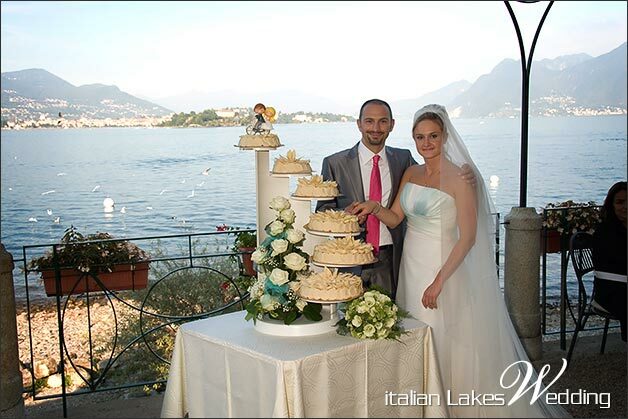 A great party on Lake Maggiore ended with the cutting of the cake at sunset. A wonderful sunset on Lake Maggiore. Our deepest congratulations to our original and sport bride and groom!